Proposal is to develop site with up to 15 units residential housing. This project is for a mixed use/mixed income multi-family residential development. Approximately 15,000 sf commercial/retail with 215 apartment units. New construction of a 6-story, multi-family, 77-unit, mixed-used building with ground floor retail and an outdoor plaza on the south side of the property. Stormwater managed through onsite drywell. New 20-story mixed-use building with ground floor retail, office space on floors 2-8, and 182 multi-family units on floors 9-20, with 4 floors of below-grade parking. Proposal is for new construction of multi-story apartment building. Existing buildings will be demolished. Proposal is to build a five story multi-family residential development of approx. 157 apartments. The ground level includes the entry lobby, parking, utility spaces, walk-up apartments and amenity spaces. The second floor roof terrace will have an eco-roof and raised planter areas along with private terraces at each of the apartments facing the eco-roof. Two high-rise residential towers, each building consisting of around 7,000sf of retail and 300-550 market rate apartments and below grade parking. New construction of two seven story mixed-use buildings, each building consisting of approx. 5,000 sf of retail, 200-300 market rate apartments and 150-250 off-street parking stalls in one level of structured underground parking and a partial level of structured at-grade parking. Project is a new five story multi-family apartment building with one level of sub-grade parking. 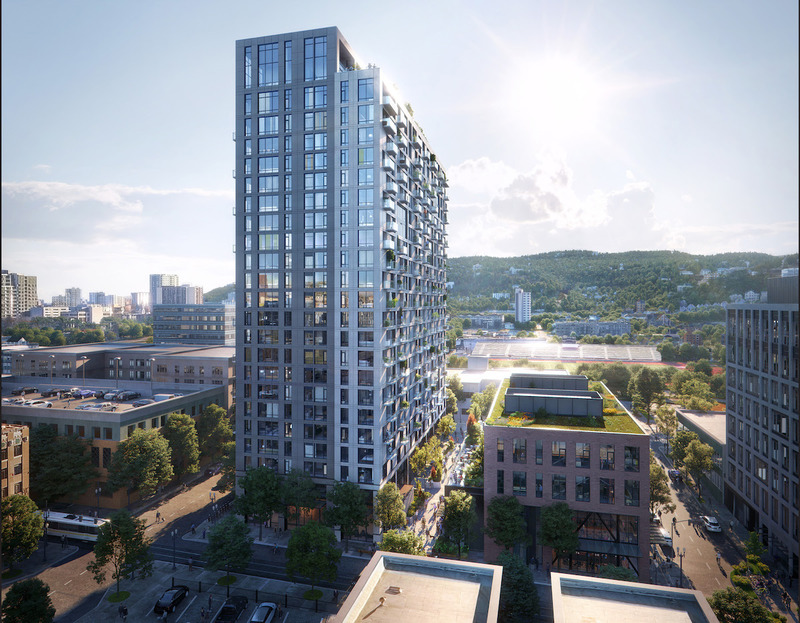 Request is for approval of a type III design review to allow construction of a development of a seven story mixed use building, consisting of a five-story wood frame building over a two level podium with a concrete structure. 107 dwelling units. 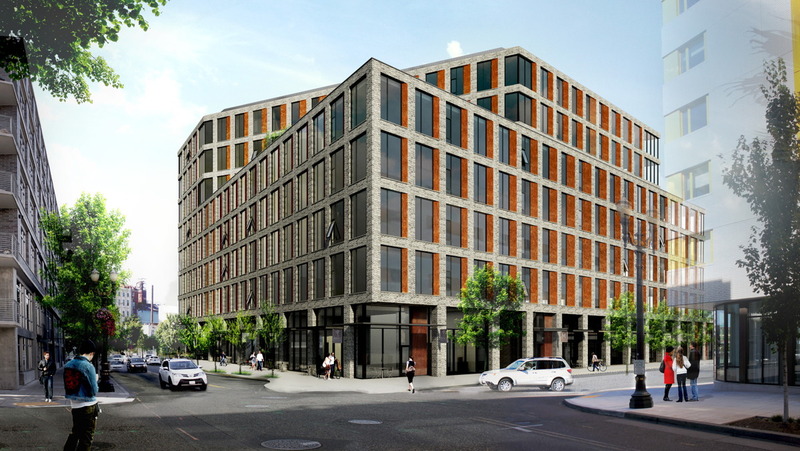 New mixed-use building with 173 units, ground floor retail and 110 parking spaces. Vehicle ramp is proposed on NW Raleigh, with 2 modifications: bike parking width & vehicle parking width. Project is new construction of high-rise with underground parking, retail on first two floors, office space of up to six floors and up to 213 residential units. New four story residential building with both structured and surface parking. Twenty one units are proposed and a total of 37 parking spaces. A roof deck is proposed. New 4 story apartment building with 22 units, 104 sq ft detached trash enclosure. Unit in SE corner of 1st floor to be live work unit.